I am attending Georgia Highlands College. second home when I was sick. 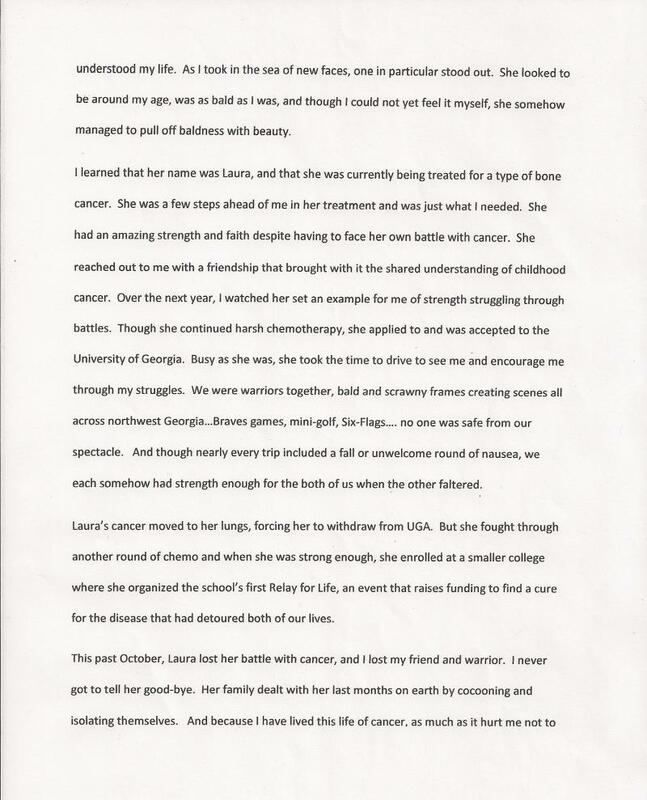 Our 2013 college scholarship essay contest was filled with phenomenal stories. Each essay reminds me of my Joey and how wise young people are. 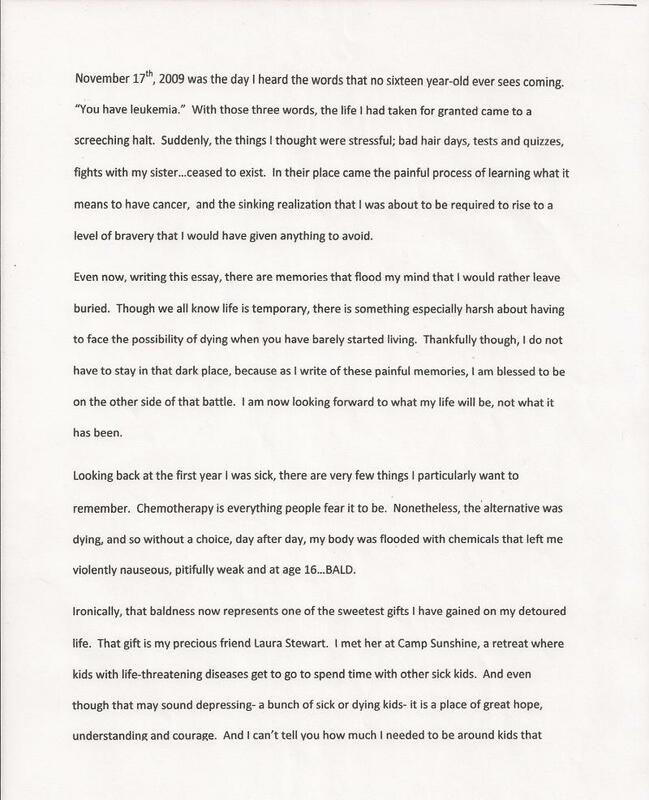 Morgan’s essay is the perfect example of this wisdom and what we should strive for as we walk this journey we call life. Although each essay was special in its own right, each time I read her essay I cried. Not out of sadness but because of her fortitude and vigilance. I will take that away from the essays this year…fortitude and vigilance. I applaud all the remarkable young men and women who participated this year. I wish that we could provide each of you with a scholarship. My prayer is that you continue to shine your light of life into the world as the beacons of hope that you are. Much success and many blessings!